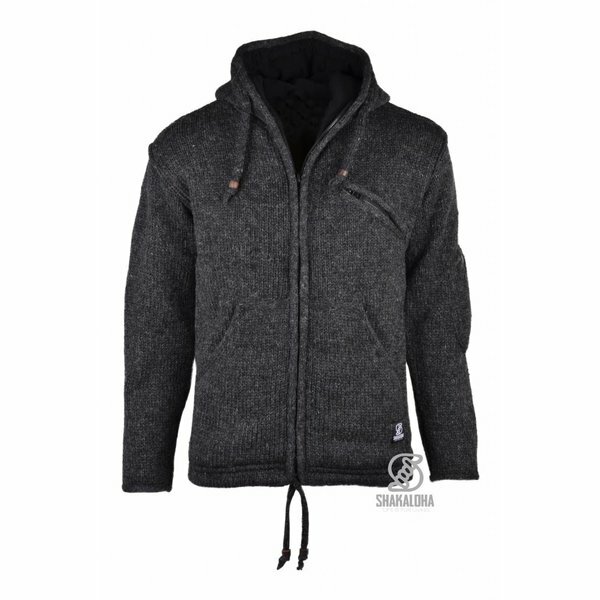 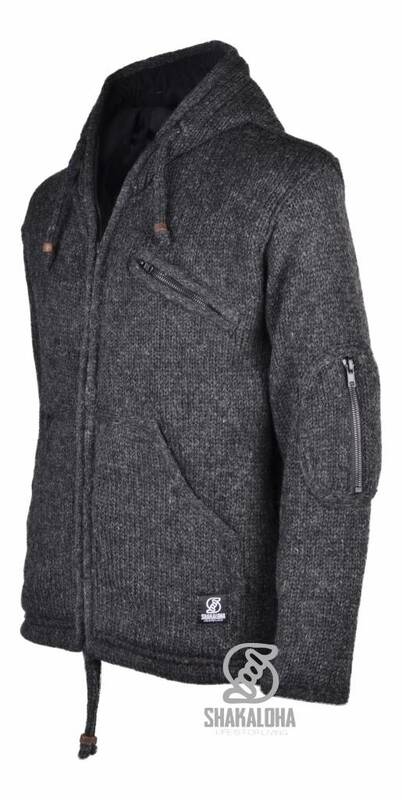 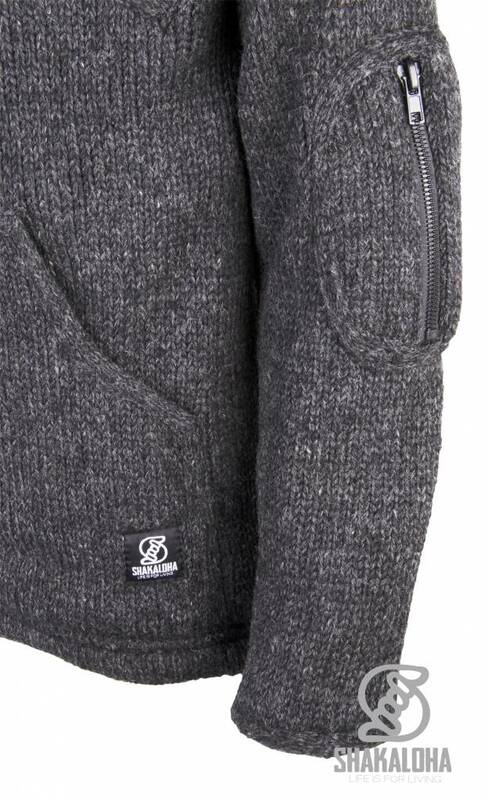 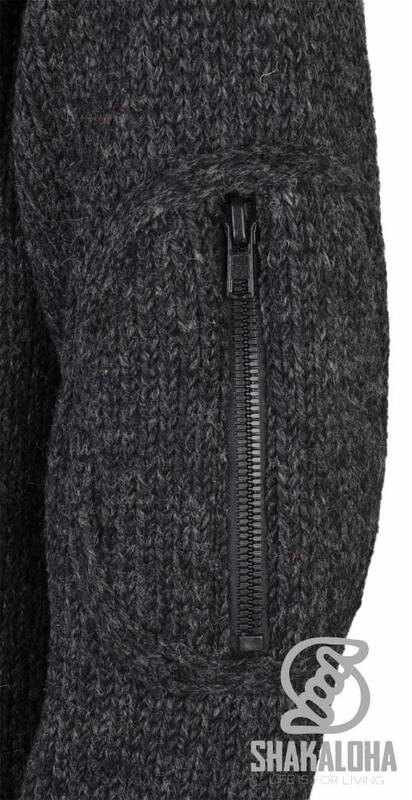 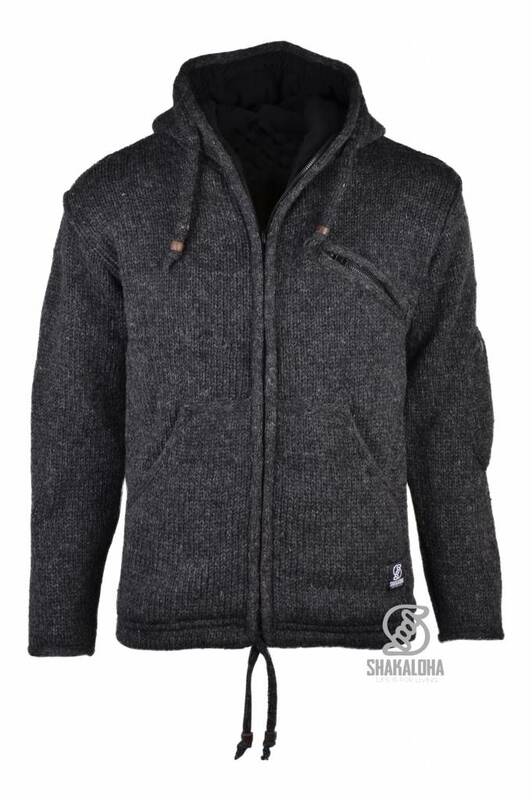 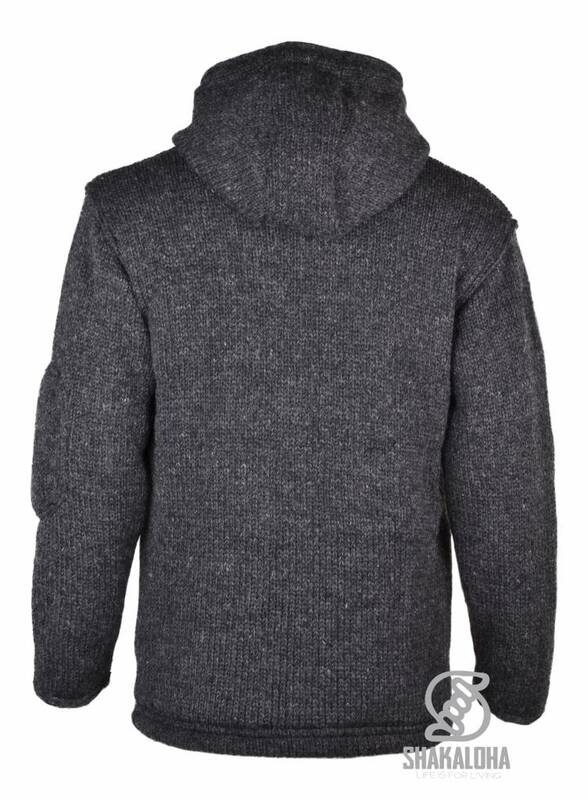 Anthracite gray woolen jacket with fleece lining. 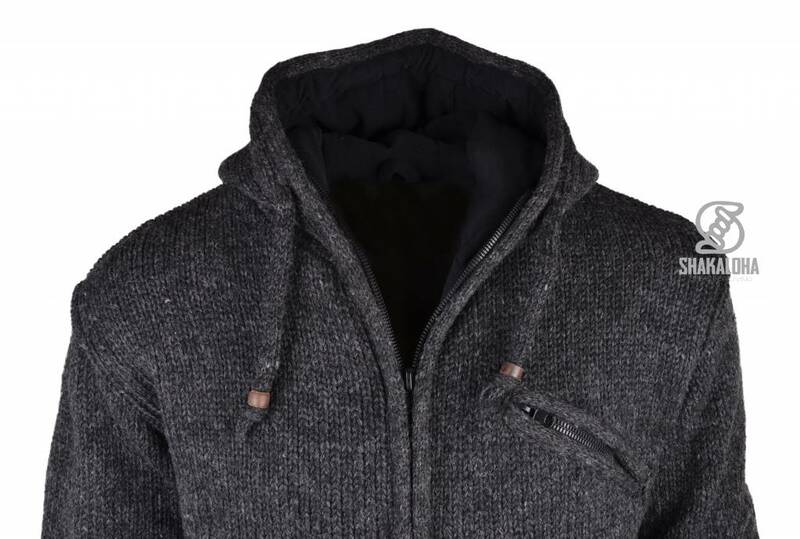 This warm soft cardigan has a fixed hood which is also lined with fleece. 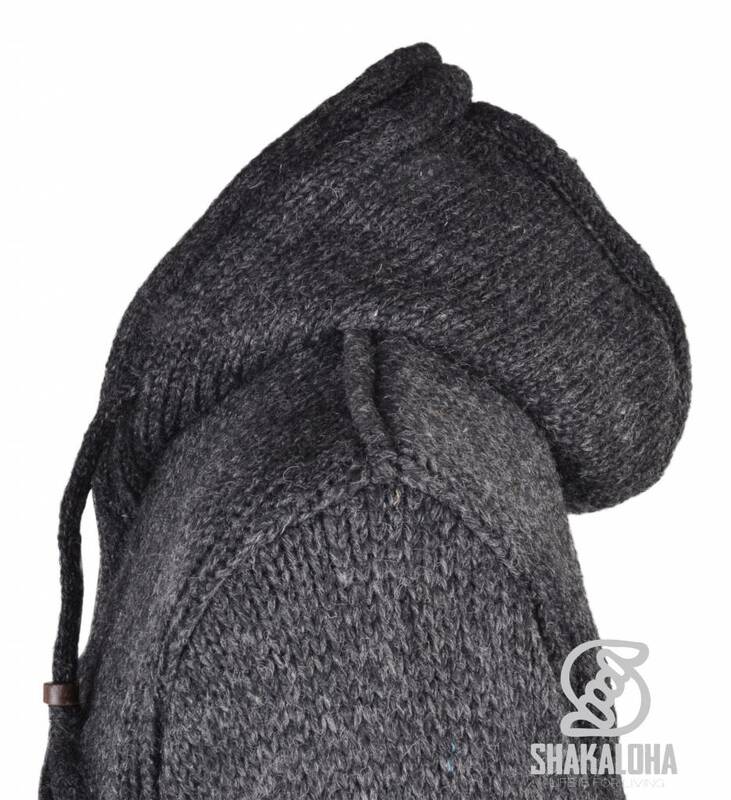 Knitted in Nepal.